Christian Solidarity Worldwide (CSW) has learned that Yousef Nadarkhani, the Church of Iran pastor acquitted of apostasy in 2012, was arrested today in Iran along with his wife, Tina Pasandide Nadarkhani, and fellow church member Yasser Mosayebzadeh. 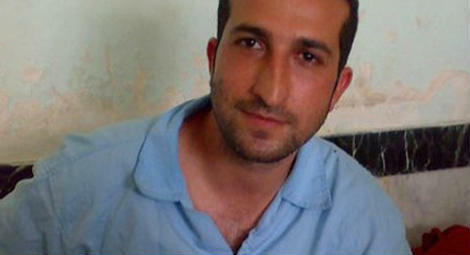 This is not the first time that Pastor Nadarkhani has been re-arrested since his release from prison in September 2012. On Christmas Day 2012 he was re-arrested on the orders of the director of Lakan prison, where he had been held, ostensibly to serve the remainder of a three-year sentence. He was released once again on 7 January 2013. Pastor Nadarkhani was initially arrested in 2009 after going to his children’s school to question the Muslim monopoly on Iranian education, which he felt was unconstitutional. He was charged with apostasy and sentenced to death in 2010, a decision that was upheld by the Supreme Court in 2011. The pastor was repeatedly asked to renounce his faith during court hearings in order to avoid the death penalty, but refused. On 8 September 2012, he was released from prison following his acquittal on apostasy charges, though he was found guilty on charges of evangelising Muslims, for which he received a three-year sentence. Following Pastor Nadarkhani’s release, his legal counsel, Mohammed Ali Dadkhah, a prominent human rights lawyer, was jailed for ten years and disbarred in September 2012 for "actions and propaganda against the Islamic regime" and keeping banned books in his home. He was also banned from practising or teaching law for ten years. He was later released on stringent conditions. CSW's Chief Executive Mervyn Thomas said, “We are deeply concerned by these developments and await further clarification regarding the reasons for these arrests, Unfortunately, it is not uncommon for Christians who have been arrested on account of their religious beliefs to be released and re-arrested time and again, in a tactic designed to foster a sense of insecurity within the community. We urge the authorities ensure Pastor Nadarkhani, Tina Nadarkhani and Yasser Mosayebzadeh receive due process, and once again call on Iran to fully respect its constitutional and international human rights obligations by ensuring that justice and equality before the law are guaranteed to all citizens, regardless of their religion or belief."